At the end of every school year I tore down my classroom, packed my three boxes and started getting giddy for summer vacation. I always swore I would spend my time off splashing in the pool and reading at the beach. But, as soon as I pulled that final staple out of the wall my mind immediately began to obsess over how I would set up my classroom for the upcoming school year. 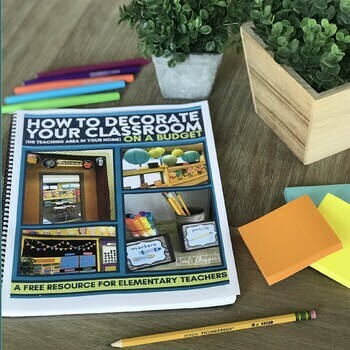 There were years I would plan elaborate classroom themes and there were years when I simply selected a color scheme and built my space around that. Regardless of which choice I made I always loved the process of planning it out over the summer and then rolling up my sleeves and making it all come together in the fall. If you are like me then you have already begun visualizing how your home away from home will look when you go back to school. If you are eager to dive right into the planning and prepping phase then you can put these tips, ideas and FREE resources to good use right away. If you prefer to bask in the sun and wait until the first day of school creeps closer, then you may want to pin these things to reference later instead. This post will share 13 Tips for Designing a Classroom and provide the links to two free printable resources that are full of additional ideas for Decorating Your Classroom and Planning a Classroom Theme. Extend your bulletin board trim so the sides overlap the top and bottom of the board for a new look. 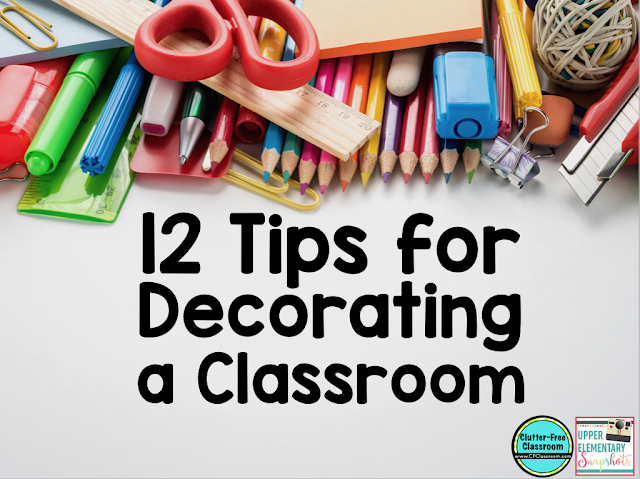 This will also give you more space to display student work. Mixing patterns using neutral colors will create interest without too much distraction. 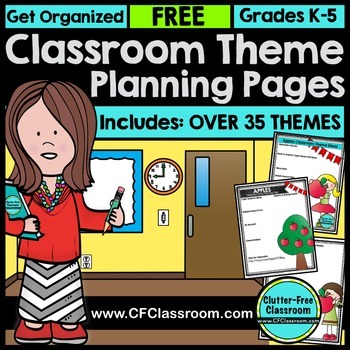 Consider picking a theme that teaches a lesson to focus on for the school year. I designed a “Going Green” theme for a colleague who wanted to encourage her students to be responsible about their global footprint and a “Patriotic” theme for a middle school American History teacher. Superhero themes are very popular in classrooms where teachers want to put emphasis on standing up for others and celebrating individual strengths. If you select a theme that focuses on one color (such as frogs and the color green or red with a Hollywood theme) be sure to add in one or two extra accent colors. This can easily be done using baskets and containers from the Dollar Store and by mounting decor items on colorful background papers. Use natural textures to create visual interest. Wood and burlap are both very popular right now and accents can easily be found at craft stores. “Anchor” several bright colors with a neutral color such as black and grey. The makes the colors stand out. 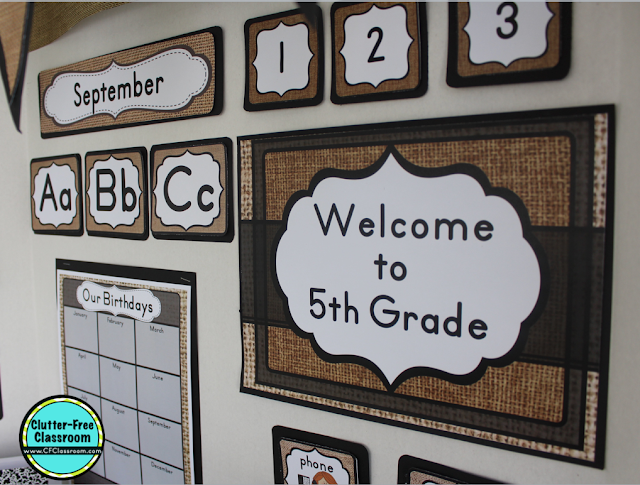 Layer borders to add more color and interest to bulletin boards. Don’t be afraid to use different shaped edges on the trim. Mount decorative items onto card stock for a more finished look. You’ll be amazed how great things look when you back them scrapbook paper, wrapping paper or card stock. 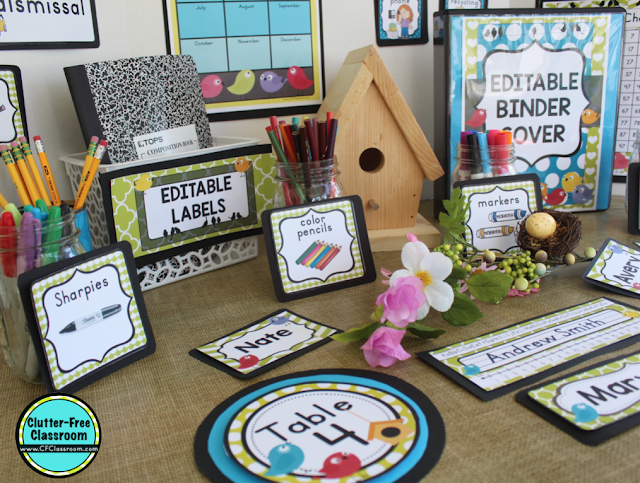 Use fabric or table clothes to cover tables in your classroom. Choosing the right color or pattern will enhance your theme or color scheme and create extra storage space underneath. Using clear containers to hold school supplies will add pops of color and make it easy for kids to put things back where they belong. 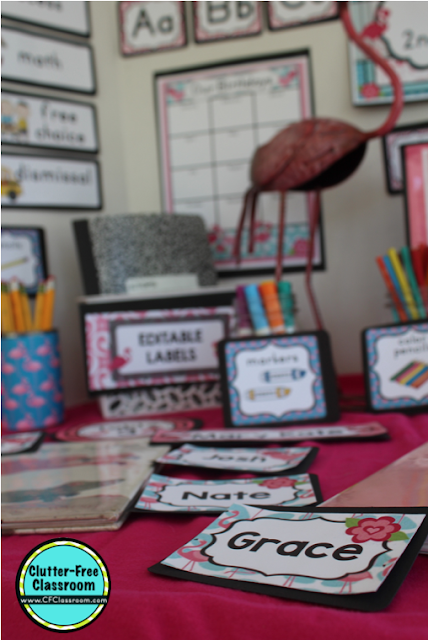 Wrap cans in duct tape or pattered paper to create a cheap storage containers that coordinate with the custom look of your classroom. Consider working the color grey into your color scheme. It neutralizes bolder colors and provides a great backdrop for showcasing student work, but it is much softer than black. 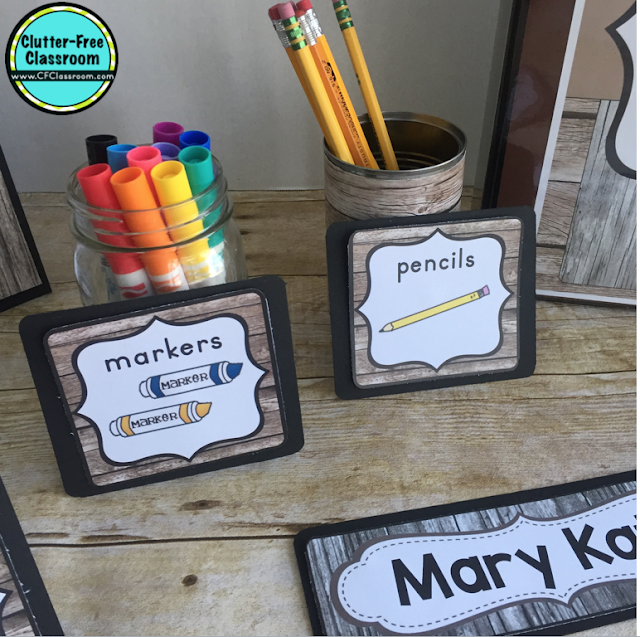 Below are two FREE resources I created for teachers and homeschool families looking to decorate their learning environments. 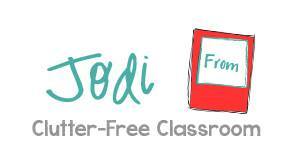 Please feel free to share either of the links with any teachers or home educators you think could benefit from them.